First, you will probably want to get a cat. If you aren't set on a specific breed yet, have a look at the standards. 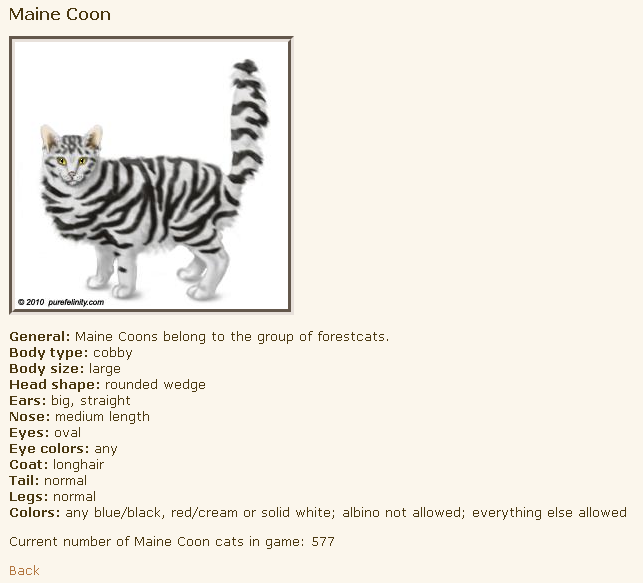 Each standard shows a picture from a random cat of that breed (assuming there currently are cats of that breed in the game who have pictures). 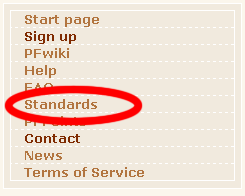 You don't even have to login to access the standards and see the pictures. On PF, cats aren't purebreds based on their pedigree. Instead, a cat needs to have specific traits in order to be counted as a pure. The standards will list the required traits for each breed. Therefore, mixed breeds are not to be underrated! They often play an important role in expanding a breed's gene pool, improving traits to perfection, bringing back extinct breeds, or even creating entirely new ones.